She was been dubbed the "world's most wanted woman" as well as the "white widow" and was profiled on AMW's last ever 2-hour special on Fox (and last ever Fox episode in general) on April 21st of 2012 and again as a brief mention on Lifetime on September 28th, 2012. Lewthwaite was married to 7/7 bomber Jermaine Lindsay. Lindsay was one of the suicide bombers that attacked London's subway system on July 7th, 2005. 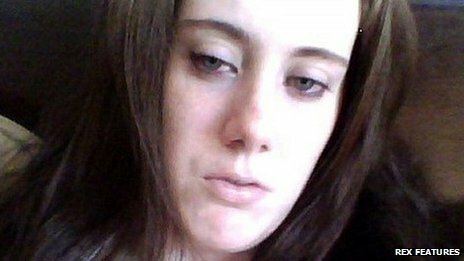 It is believed Lewthwaite may have been more than just the wife of a husband who belonged to a Al-Qaeda linked terror cell, and may have helped planned the bombings. Officials feared that Lewthwaite, believed to be hiding in South Africa, was soon going to be connected to an attack again. And that may have come this week. Two days ago, ten presently unidentified gunmen attacked the upscale Westgate shopping mall in Nairobi, Kenya, fatally shooting at least 69 people, and taking others inside hostage, according to the Kenyan Red Cross. The Islamist group Al-Shabaab claimed responsibility for the incident. The London Mirror reported that Al Shabab had praised the "White Widow" on their Twitter account and boasted that she was with them, and one senior anti-terror force suspects Lewthwaite was with them. I must say it is a bit coincidental this happened right in the same region where Lewthwaite is believed to be hiding and I wouldn't be surprised if it was her. I also wouldn't be surprised if she's suspected of involvement and planning but it turns out it was another woman at the mall. And now a body of one of the terrorists shot dead when the Kenyan Army rescued the hostages is that same white woman. The question is if its' Lewthwaite or someone else, so we shall have to see..
Interpol has now issued a warrant for Lewthwaite's arrest. not in connection with the mall attack, but over a 2011 plot to bomb holiday resorts in Kenya. Of course, it seems whoever that dead female is has yet to be identified- whether it be Lewthwaite, another female terrorist, or a hostage disguised as one. I checked and the Daily Star is a tabloid, but I wouldn't be surprised if she was involved in this latest terrorist attack. Also, if it's true that she was caught in Nigeria six months ago, but bribed her way to freedom (according to the article), then that's really horrible. Lewthwaite needs to be stopped. I had a feeling this was a tabloid as the story seemed a bit sensationalized, and I'm not sure how much I can believe such as the bribing allegation, but it does not seem far fetched to believe Lewthwaite could have had something to do with this, tabloid or not. 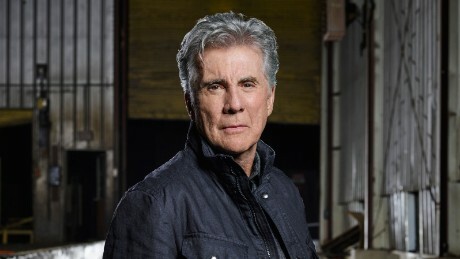 It seems like almost perfect timing that John Walsh's new show- said to be more international in flavor- is coming out with Lewthwaite possibly being involved in more violent terrorist attacks. Samantha Lewthwaite is in the news again as she has now married a Nigerian warlord. Also, updated this thread because I found the Vimeo segment from AMW's World's Most Wanted special and last ever Fox episode. It's now in the original post. Kenyan detectives have revealed that Samantha Lewthwaite had plastic surgery done and as a result, authorities have run out of leads for the time being. A Russian news service is claiming Lewthwaite was killed by a pro-Russian rebel in the Ukraine. The search for her is pretty much like the search for El Chapo Guzman. Lots of rumors, so I will wait to see what comes of this claim first to see if there's any truth to it. Thank goodness nothing significant in terms of tragedies has come up since 2014 in this case, but I fear she may be more interested in IS's ideology than Al-Shabaab's ideological stance with Al-Qaeda if the rumors of her in Syria turn out to be true. I've spent years, sheets of papers and tons of ink pens puzzling her personality as to how radical she is, also her potential whereabouts since she is said to be in Somalia and Syria. Spies tracking Lewthwaite have information that she may currently be hiding in Yemen, according to the UK's Daily Mirror. Right, She most likely hang around with ISIS Forces by now.